I always try to hammer into my clients about content creation on their websites. However, the vast majority of them do not get it, especially brand new webmasters. So lets cover why why content is important on a website. I really don’t think it’s their fault. It can be a hard concept to grasp at first glance when it comes to content. But, if you have a good amount of content, you can get a good amount of free traffic to your site. The old say is content is the king of everything on the internet. And for the most part, it’s true. You have to have good quality content to attract readers to any website or blog. People fuss all the time about great looking websites and yes, a professional website can make a difference. But if someone I really respect has a crappy looking site, all I really care about is what they have to say. I could really care less if their site is beautiful or not. This is why content is so important. I know of quite a few professional SEO’s I respect, and their sites are less than stellar to the eye. But the information they write about, is so value packed and so good. It’s truly all that matters. Ultimately, anyone who reads your content cares about one thing and that WIFM (What’s in it for me)? If you are a professional at something and have a blog where you share you best ideas, people will want to read it. When you run across a website or blog by a leader in a field, you can tell. Especially if you are in the same field. You can really tell if they know what they are talking about and if they are sharing their best ideas. But the best thing about quality content is, it helps people. And this is really what companies like Google are after. Quality content has it’s own voice and opinion, and really draws a reader in with every word. And, it helps them at each at every paragraph. So it’s really not just content that is so important it’s quality content that is the most important. One thing about content is it allows for distribution. If you choose to write a good amount of articles for your site then, this allows you to go far and wide with your content, allowing more people the chance to find you in new places and for more keywords and phrases. A blog with 500 pages of quality content will beat out a 30 page blog usually most of the time. But, you have to allow yourself time to get there. It takes time to write quality content. But, the point is, content is scalable. The more you write the more traffic you can get. As long as it’s quality that is. One thing about content is, it can help you get your message out to the masses. There are abundant stories of people overcoming challenges with content distribution. Take for instance, I recently read on Cleveland.com about a woman in Cleveland who was sick. The repo man came to her door and was ready to take her care. However, the woman’s daughter answered the door and told him she was very sick. The repo man felt so bad, he told his boss and wondered if there was anyway she could be helped. So, the company started a fund on Gofundme for the woman, which has now raised over $3000 to help her pay her car payment while she has been sick. I ended up donating a small amount to help out. However, this would not have been possible if I did not see the story on Cleveland.com. And, the best part is, it was all done with content. Content is very powerful and can really have an affect on others who read it. This is also why good copywriters and writers, can demand top dollar for their work. Words can be that enticing and moving for others who read it. Context is important also. This is the way your content is presented. We see this in the media all the time. A news story takes place and the news team only reports a chunk of the content, leaving out all the other important information. Content is not only on the internet and the websites you visit. Content is also at the grocery story on the cereal boxes and other packaging. Content is also in the menu you read at lunch and on your television. Or, even on that highway billboard as you drive down the road. Content is truly all over the place, trying to get across whatever message it can. 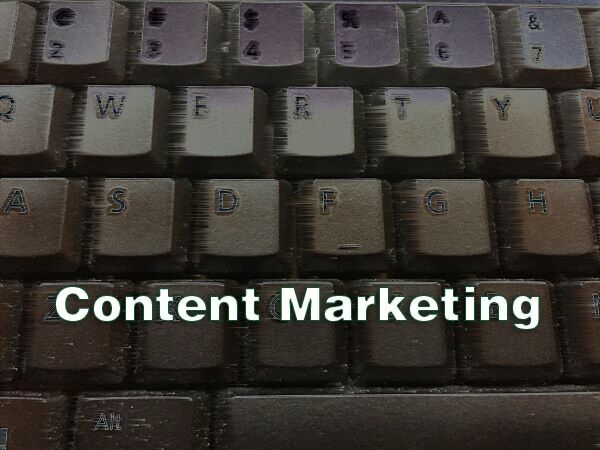 Content marketing can take a good amount of time and investment. It’s also usually not a immediate strategy making sales for companies right away. First there is keyword research that has to be done also. Not every article written will need to be keyword driven. But, when done correctly, content can assist in conversions on a website. This is why it’s so key even being a long-term strategy. Producing quality content on blogs and websites helps assist in sales for many different companies. Usually, when a company has a good content strategy in place, they are branded much better. Their articles tend to show up all over search results in Google and they keep in front of their prospects. Then, when a prospect who has seen them months ago, needs them, they will remember the company with the developed content marketing strategy.